IBM Mobilefirst for IOS Ancillary Sale enables flight attendants to sell food, beverage and merchandise while in flight, using predictive analytics to offer passengers personalized recommendations. Flight attendants have countless opportunities to build customer loyalty. From beverage options to seating upgrades, in-flight purchase opportunities are key to transforming the passenger experience. 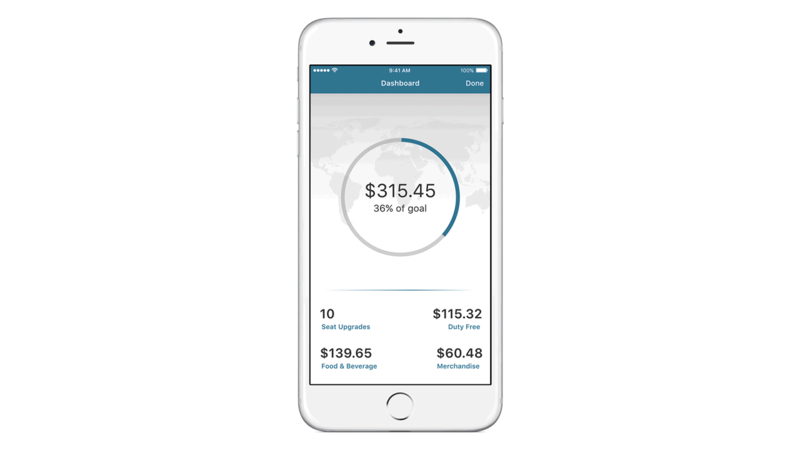 IBM Mobilefirst for IOS Ancillary Sale can boost incremental revenue and customer loyalty, while also facilitating passenger transactions. The app provides options for personalized passenger offers, next-best action and upgrades – all delivered through a simple and elegant user interface. With a few taps, offer upgrades to premium seating after the doors close, a unique new feature designed to help drive incremental revenue. Track and respond to passenger preferences and behaviors around buying and purchasing, and enhance the in-flight passenger experience.